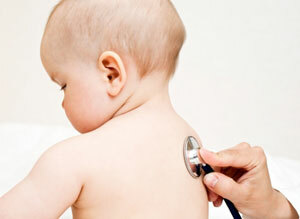 There are regular well baby clinics held at the children's centre. Please phone health visitor Janet Gove on 01993 844180 for further details. All women between 25 and 65 years of age are recommended to have a cervical smear check. For those women aged between 25 and 50 it is recommended to have a check every three years, and for women aged 50 to 65 years of age, every 5 years. This is to ensure that the cervix (neck of the womb) is healthy. We operate a recall system in order to remind you when your next check is due. We have special programmes for the continuing care of patients with long-standing conditions such as asthma, diabetes, high blood pressure, heart disease, stroke or circulatory problems. Please discuss these with your doctor. All adults are encouraged to have a health check every three years. We also offer annual health checks for those over 75 years of age. These can be carried out at home if necessary. We also have special programmes to promote healthy living, stopping smoking, weight reduction and healthy eating. Please make an appointment with a member of the nursing team if you wish to take part in any of these programmes. Both men and women are welcome to discuss contraception, either in the doctor’s surgery or with a nurse. We provide a full range of services including the fitting of IUDs (coils), diaphragms (caps), the ‘morning after’ pill, injections and implants. Family planning advice and services are also available to patients who are not registered with this practice and to young people. If you require emergency ‘morning after’ contraception, please tell the receptionist so that you can be seen as soon as possible. Family planning appointments can be made at any time with the family planning nurse or with a doctor. 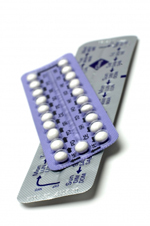 You do not need to be a regular patient at this practice to receive contraceptive services. These services are also available to young people. When your pregnancy is confirmed we will offer you an hour-long appointment with the midwife to discuss all aspects of your pregnancy and to plan your care. During your pregnancy we usually share your care with the hospital, with most of your appointments being here with the midwife or the doctor. 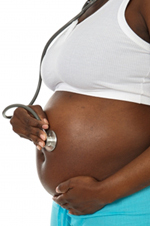 Six weeks after your baby is born we will offer you a postnatal examination to ensure that all is well. Parenting classes are also held locally. If you, or a member of your family, suffer a minor injury such as a cut or sprain that you feel requires treatment, you may proceed directly to the Minor Injuries Unit at Witney Community Hospital. This unit is open from 10:00am to 10:30pm, seven days a week including bank holidays. The Minor Injuries Unit can be contacted on 01865 903841. We undertake a range of minor surgical procedures using local anaesthetics. Your doctor will be able to advise you as to the appropriateness of such treatment. NHS podiatry services (State Registered practitioner) are available, providing a wide range of services including nail surgery and biomechanics, as well as diabetic foot care. Some patients will be provided with a short course of treatment to improve their foot problems, whilst others will be provided with long-term treatment and management of their feet. The podiatry service can also be contacted via their head office on 01993 862120 or 01865 902016.